The silence has gone on long enough. 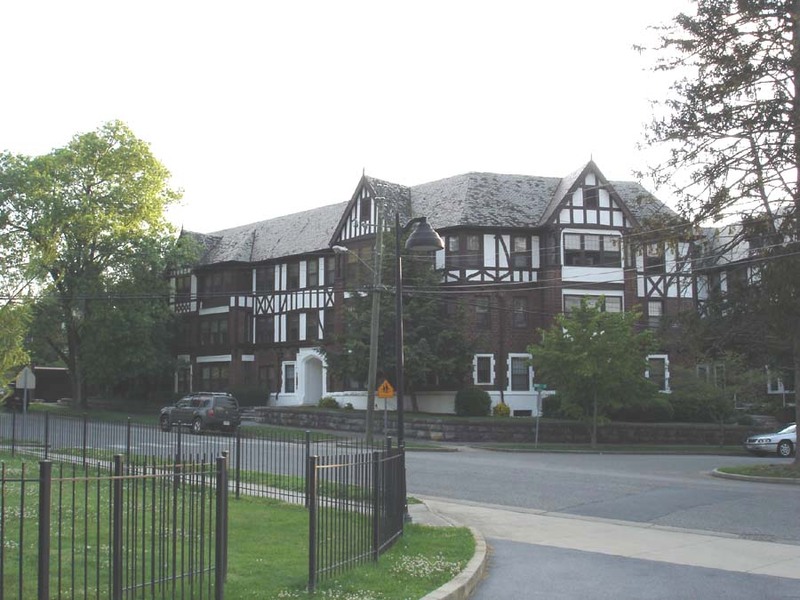 It is time to acknowledge a chapter in Johnson City's history that generations of residents desired to suppress which quite truthfully is understandable. 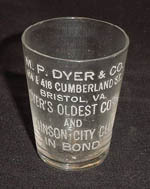 Johnson City, the storied railroad town, was also a town with a colorful reputation for activities involving bootlegging, gambling, and general disobedience of the 18th Amendment to the U.S. Constitution (known as "Prohibition") which prohibited the manufacture or sale of intoxicating beverages. 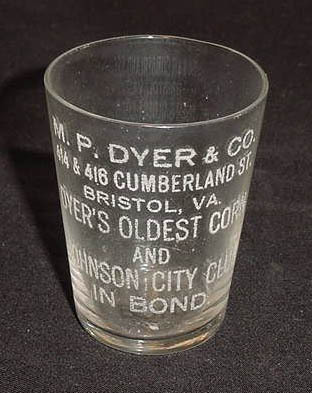 Due to its location as a railroad crossroads in the Appalachian mountains - where a talent for manufacturing alcoholic beverages is a long tradition, Johnson City was a stopover point and occasional hideout for some legendary gangsters most notably Al Capone. 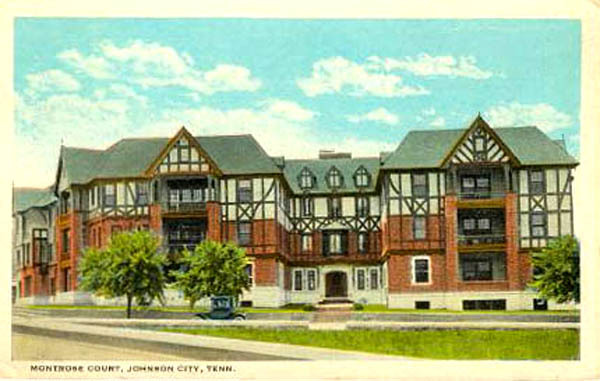 Located between Chicago and Miami, Johnson City was dubbed "Little Chicago" and the Montrose Court Apartment complex (constructed in 1922; destroyed by fire in 1928) was reputed to be the headquarters for Capone and his friends. 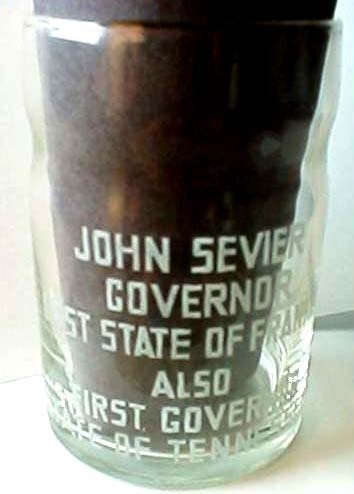 The John Sevier Hotel (opened in 1924) also has been associated with organized crime figures, including Al Capone, but the Windsor Hotel (1909-1971) led the way as a reputed melting pot of various types of vice including activities not necessarily involving alcohol. 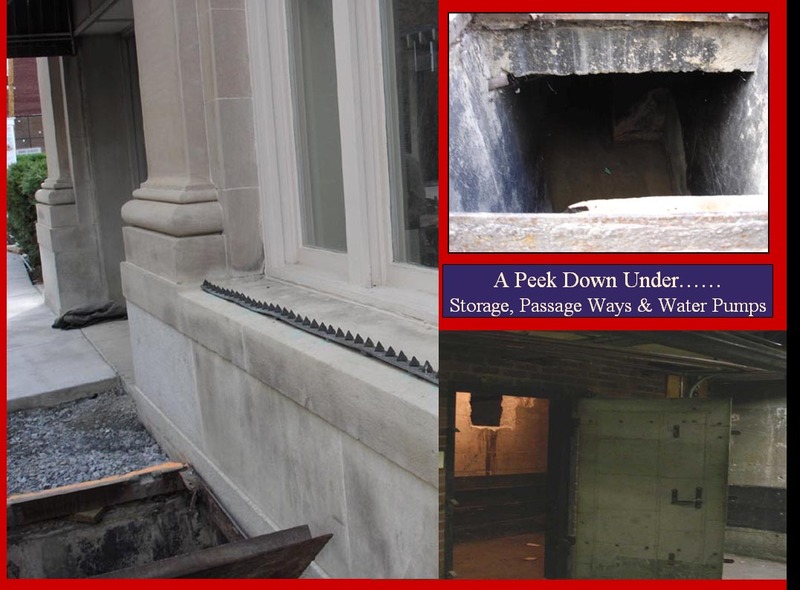 Underground passage ways and "escape routes" referenced in many stories underneath Johnson City's streets are primarily related to a series of water pumps and storage areas. 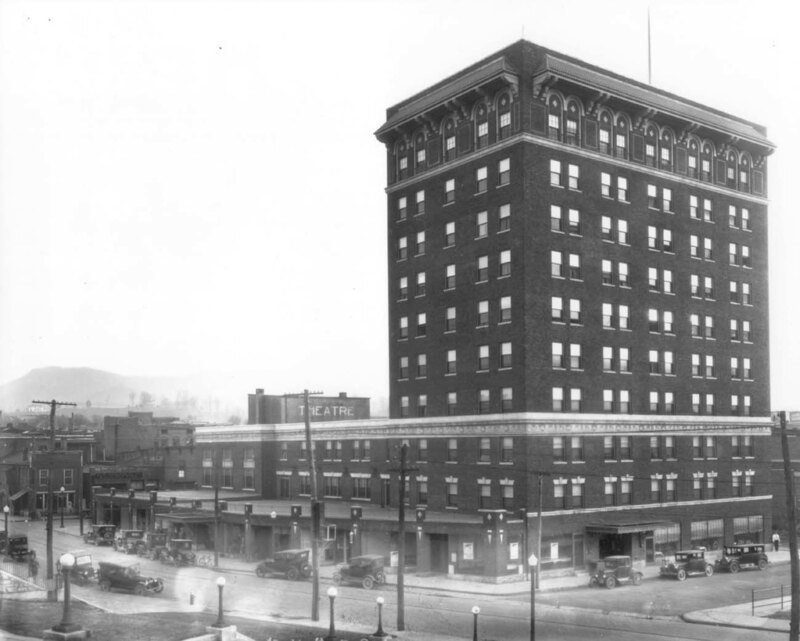 Secret access points to former "speakeasy" locations have also been discovered in North Johnson City that were in use as late as the 1960s. 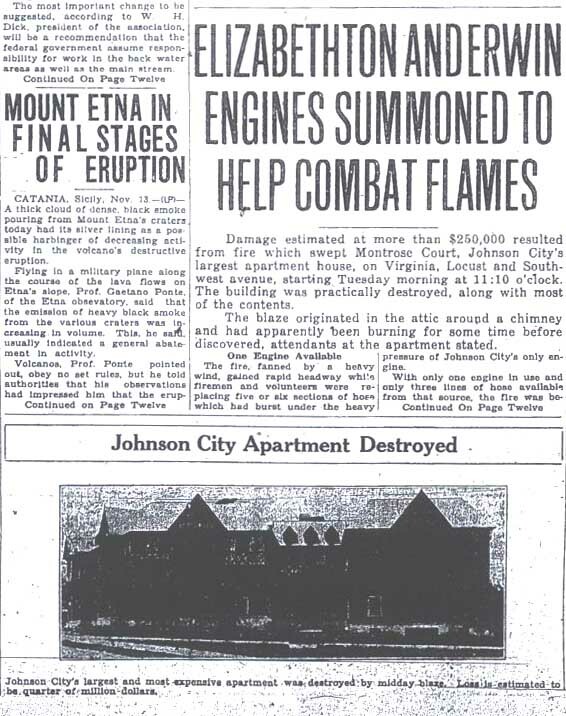 Check out this news article of the 1929 speakeasy shakedown in Johnson City. 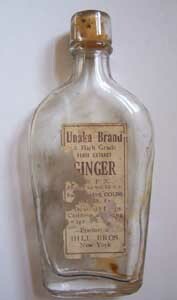 For persons wishing home delivery, local taxi companies reportedly hauled more alcohol than passengers during the 1920s. What proof is there that Johnson City is linked to Al Capone? Obviously Al Capone kept no diary so oral history is the primary source available with "Little Chicago" stories and folklore handed down for generations. 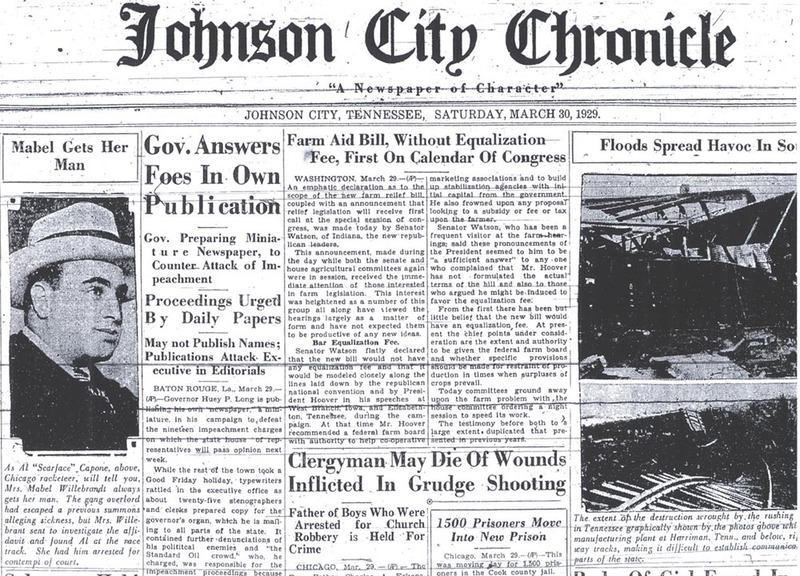 Newspaper accounts during the 1920s support Johnson City's reputation as a "wide-open city" with operating characteristics similar to Big Chicago. 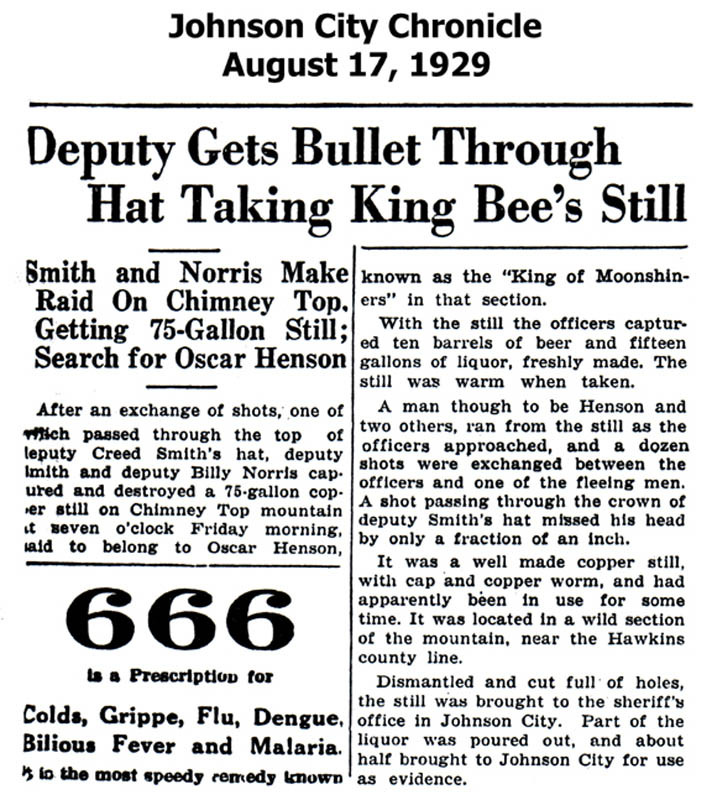 The range of allegations against the city's police department and public officials in the time period January through March 1926 alone, is astounding. A series of local Chiefs of Police gave up trying to deal with the situation. Read carefully the Johnson City Staff-News editorial attesting to the local conditions and Editor Carroll King's call for citizen support for the police force given the challenges at hand. 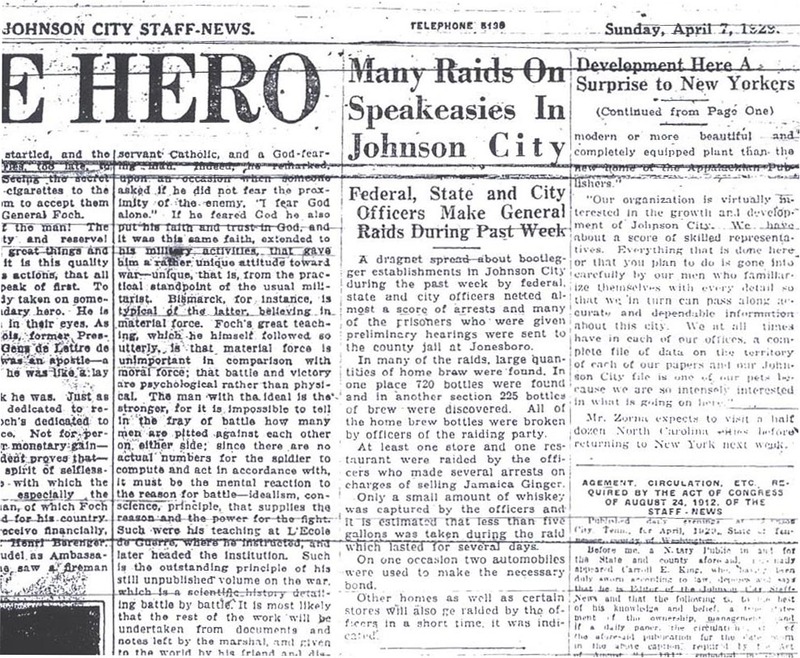 In a follow-up editorial King proclaimed that Johnson City was under the thumb of hoodlums and undergoing a "reign of terror." 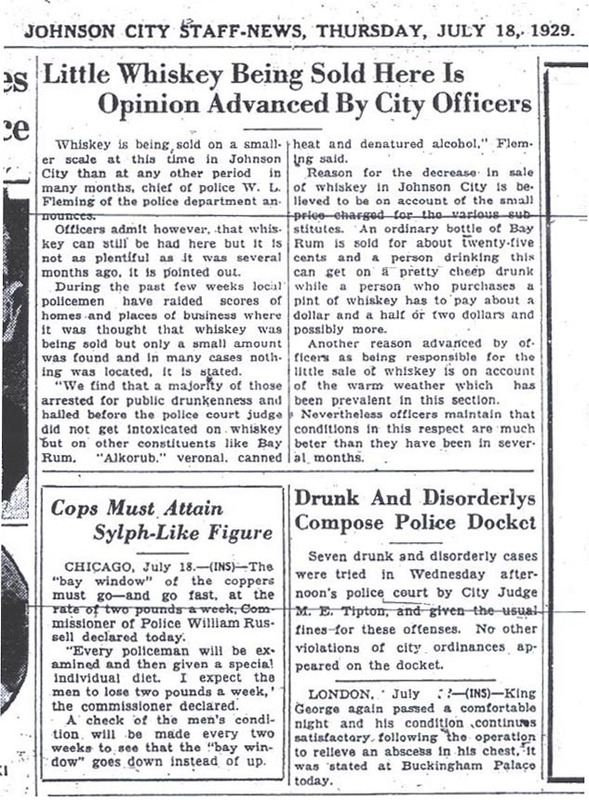 Bootlegging and moonshine adventures/wars were basically shrugged off as a fact of life and the local newspapers openly lampooned the jailbreaks and ease with which the alcohol runners avoided law enforcement. 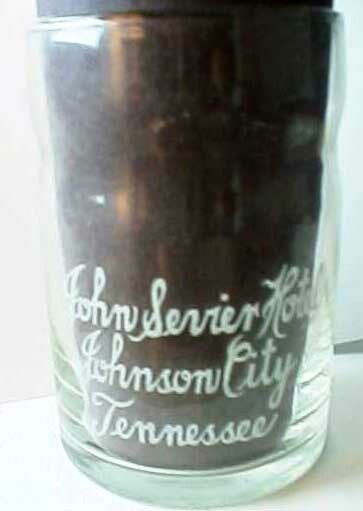 Nestled in the Blue Ridge mountains in the northeast corner of Tennessee - 30 miles from the Virginia State Line and 35 miles from the North Carolina State Line, Johnson City was ideally located for underground alcohol production and smuggling. 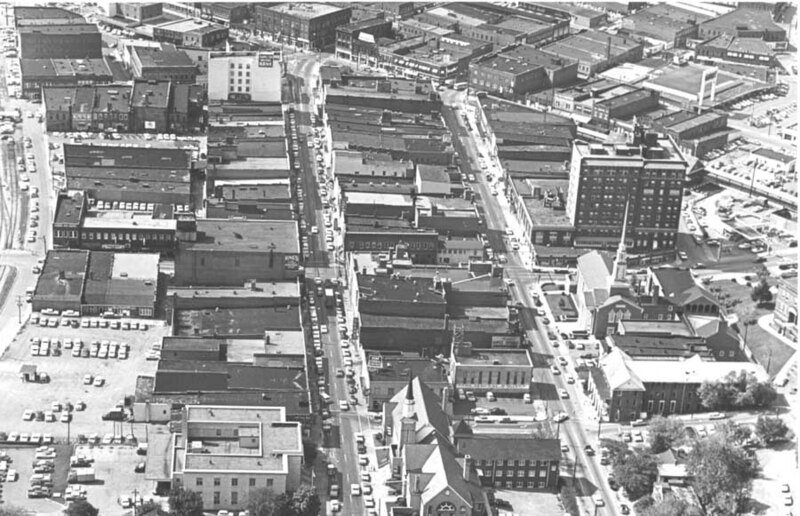 The city grew to be Tennessee's fifth largest city in the late 1920s. Telling proof also exists of Johnson City's reputation relative to vice conditions nationally. 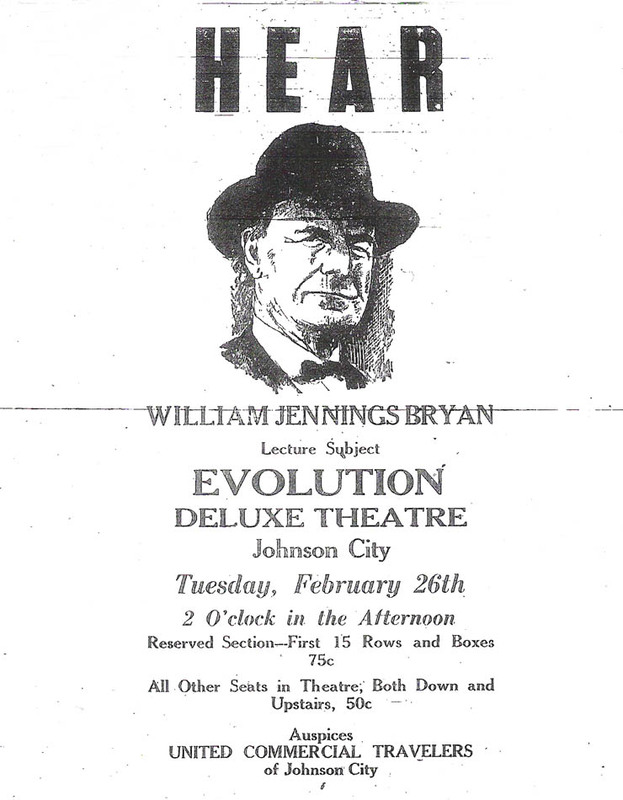 In the February 26, 1952 issue of Look magazine, Johnson City was one of 25 cities listed as"a hotbed of vice conditions." 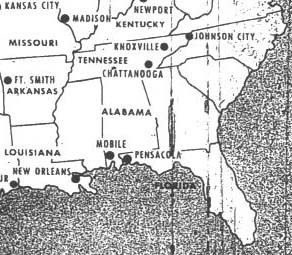 Knoxville and Chattanooga were listed in Tennessee as well, both of which were also major railroad junctions. 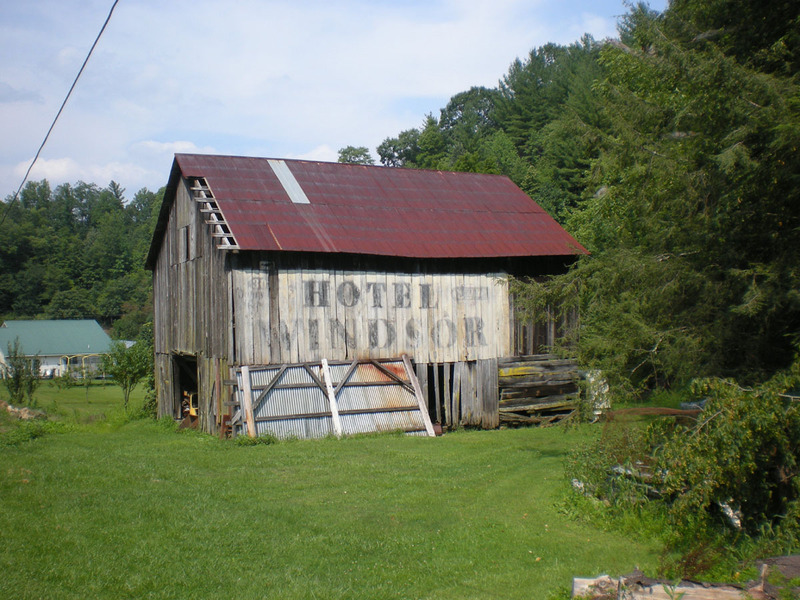 For the record, Johnson City's neighboring town of Bristol, Virginia received a "poor" rating. Ironically Bristol, Tennessee (the state line between Tennessee and Virginia divides the two towns) received a "good" rating as did Kingsport. The Johnson City Press-Chronicle responded to Look Magazine with this article. In 1958 a movie titled "Thunder Road" was made in which Robert Mitchum stars as a backwoods bootlegger in Appalachia, getting squeezed by both the federal government and organized crime. This movie was a cult classic playing at drive-in theatres for years and is a relatively accurate portrayal of the underground movement of alcoholic beverages through the mountain regions of East Tennessee, North Carolina, and Kentucky. 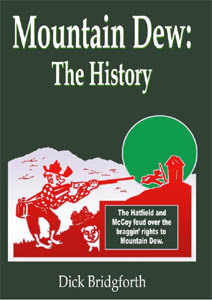 Film producers have made numerous movies featuring moonshine transport adventures and these traditions are said to be the origins of NASCAR. 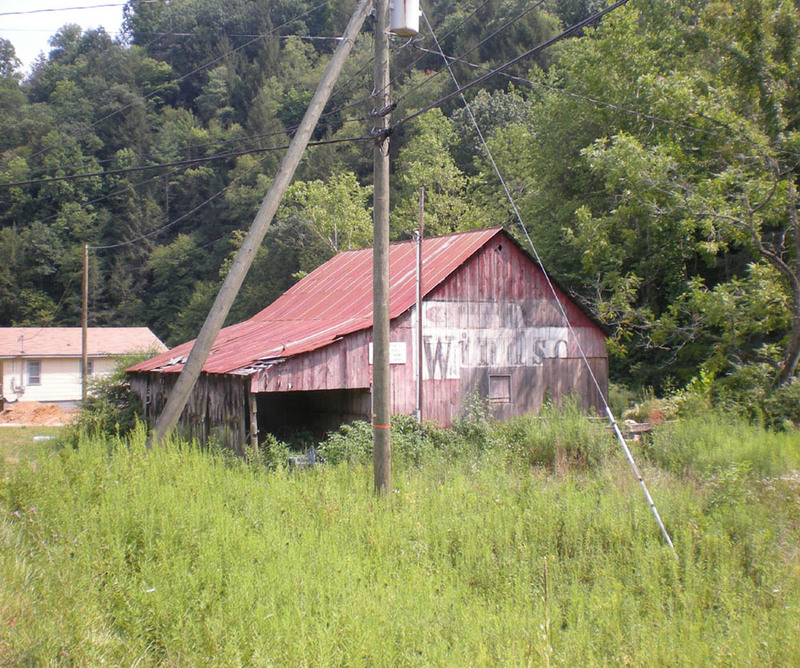 The "Dixie Highway" (named Kingston Pike in Knoxville) was noted as one of the top Copperhead Road/bootlegging routes in the south. 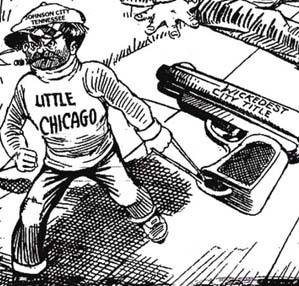 A local businessman recently stated "Maybe it's my imagination but it seems to me that people who know an awful lot about JC don't know anything about "Little Chicago" and yet I heard about it from a former employee back in Atlanta before our first visit here." 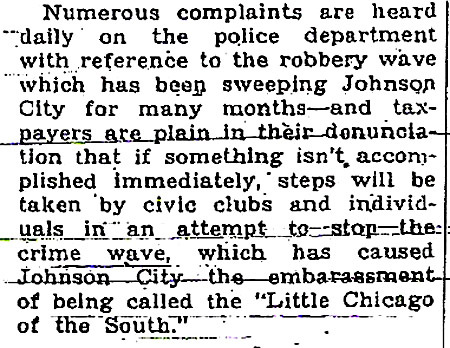 Although the code of silence has been broken, no family names of existing Johnson City residents will be associated in any way with either the reality or legend of "Little Chicago" so folks can rest easy. 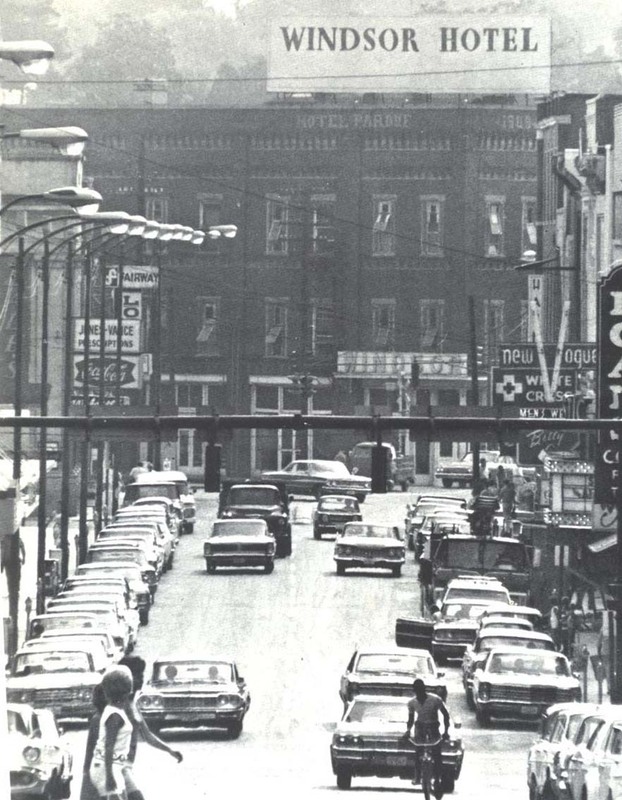 In the 1980s noted Johnson City playwright Jo Carson authored a play titled "Little Chicago" which stirred considerable interest into the legends surrounding the town's association with gangster activity. 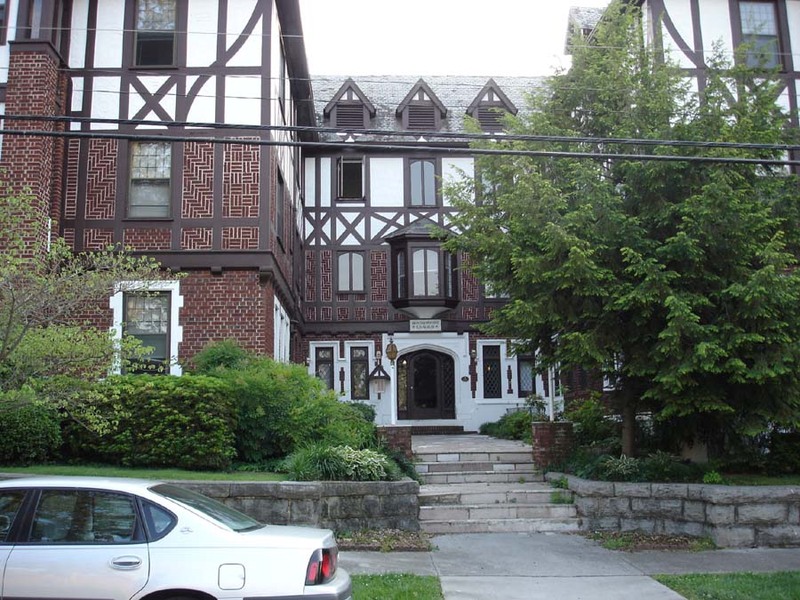 An extensive interview by Polly Salvati in 2001 resulted in Ms. Carson describing her research into Johnson City's association with Chicago crime bosses. 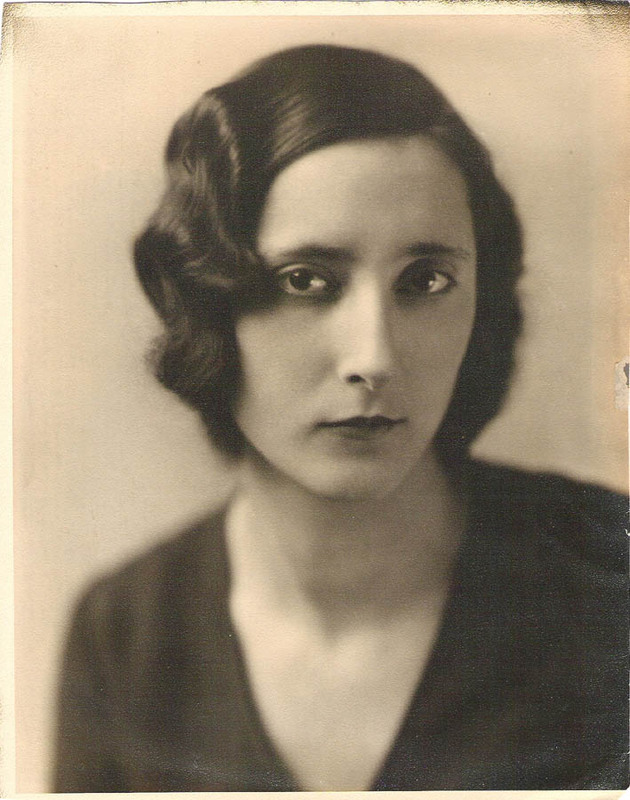 Several sources, now all deceased, only spoke with Jo on the condition of total anonymity. 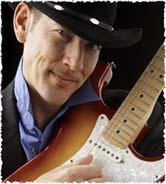 One source, an elderly lady from Nashville (who had seen the play on tour), called Jo and requested a private interview. 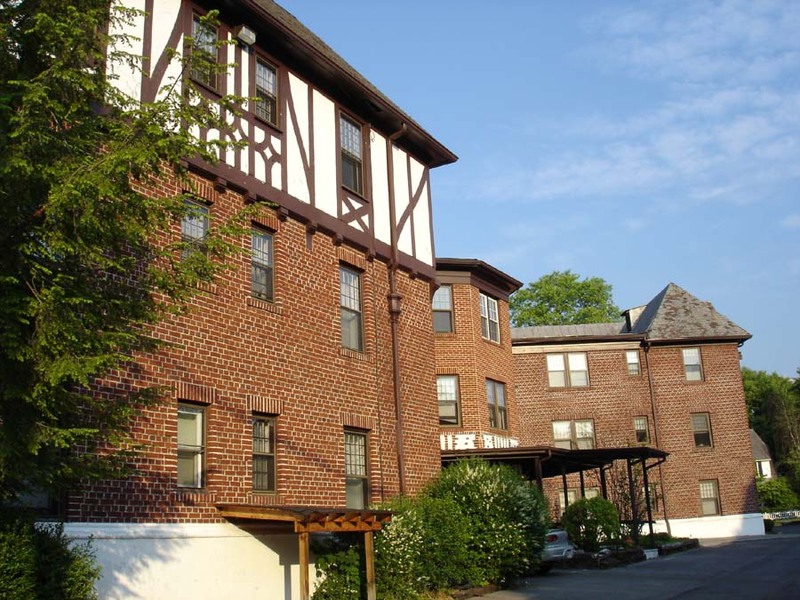 The lady, then living in a nursing home, reported seeing Al Capone in Johnson City at the home of a henchman the night of the St. Valentine's Day Massacre and said her father actually had participated in the murders. 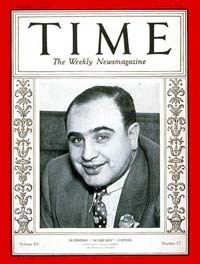 Capone was not in Chicago at the time of the event and court testimony during the trial later placed him in Miami. 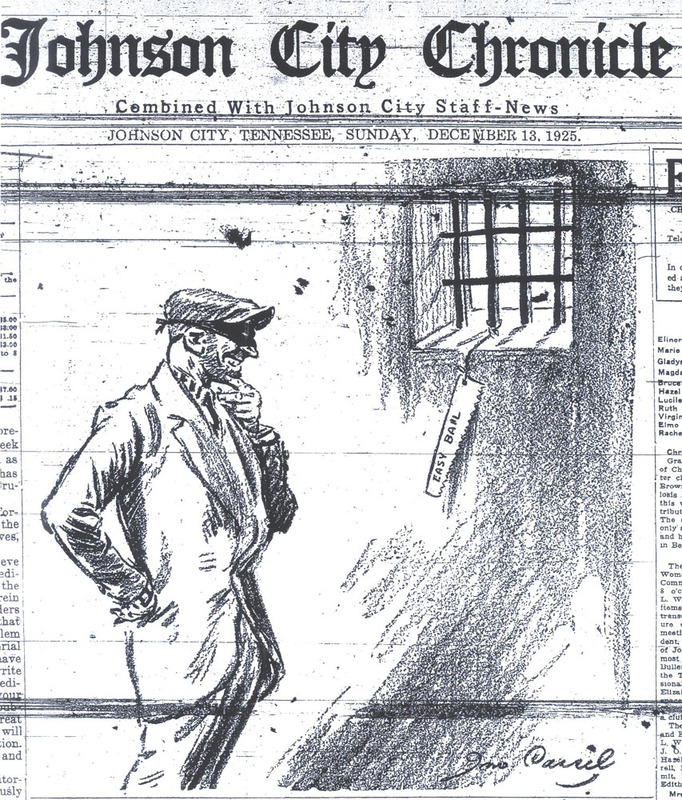 Whether or not Capone was in Johnson City that day or not, oral history strongly suggests the "Appalachian wing" of Capone's illegal alcohol network was in Johnson City, Tennessee during the Prohibition era. 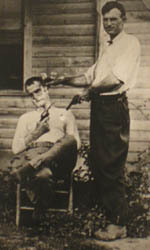 The city's mid-point location en route to Florida afforded a convenient layover junction on any trip to Miami and Capone is thought to have had extended Johnson City stays in both 1926 and 1927 as conditions in Chicago mandated his absence. 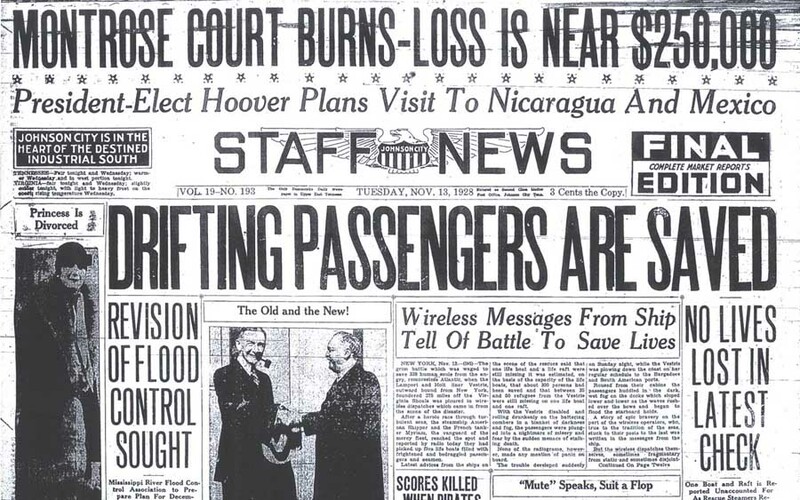 In April 1929, as pressure mounted on Al Capone and his associates following the St. Valentine's Day outrage, federal authorities launched an intense series of raids upon Johnson City bootlegging establishments. As was true in Hot Springs, Arkansas (his Ouachita Mountain outpost) Capone was known to personally visit his territorial headquarters to strike deals with bootleggers and organize rail shipments back to northern distribution points. 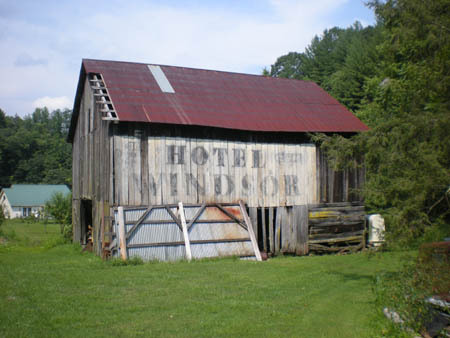 Local agents conducted the regular business affairs and outbid the competition for quality whiskey. Concealment of illegal alcohol among the many other freight items shipping northbound via the Clinchfield Railway would not have been a difficult undertaking during the 1920s and the public attitude toward the Prohibition laws was largely indifference. 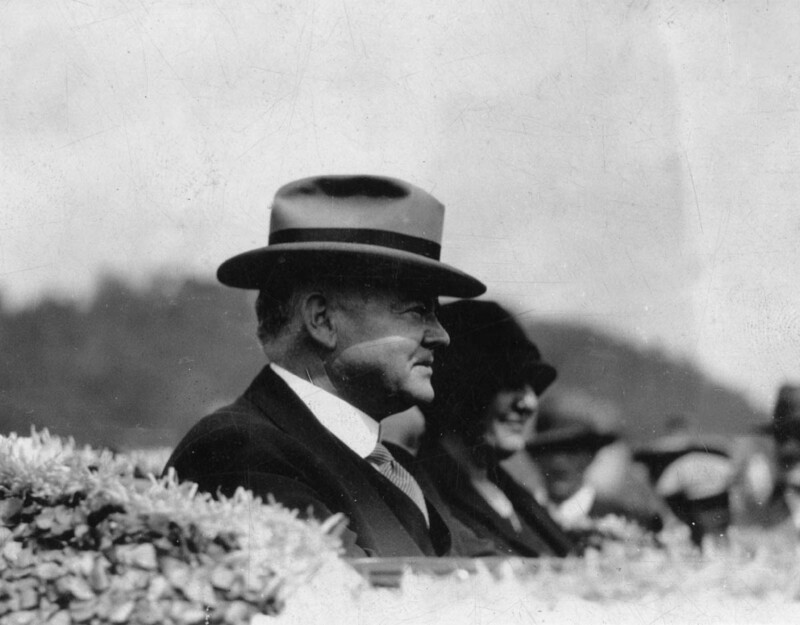 Nationally Prohibition was a dramatic failure. Because liquor was no longer legally available, the public turned to gangsters who readily "organized" the bootlegging industry. With the industry being so profitable, criminal groups were handed on a platter a steady source of income provided by the basically unenforceable laws. The only actual "victims" were persons guilty of consuming alcohol. 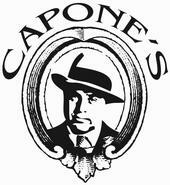 Al Capone was the acknowledged master of the national organized crime syndicate resulting from Prohibition. 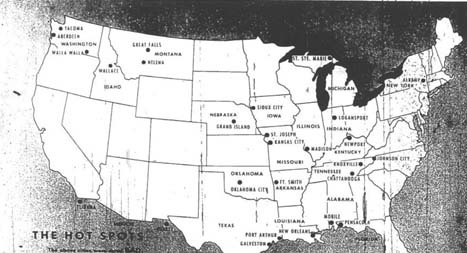 The full extent of the national distribution/supply network can never be known and possibly may have been known only to Capone himself. 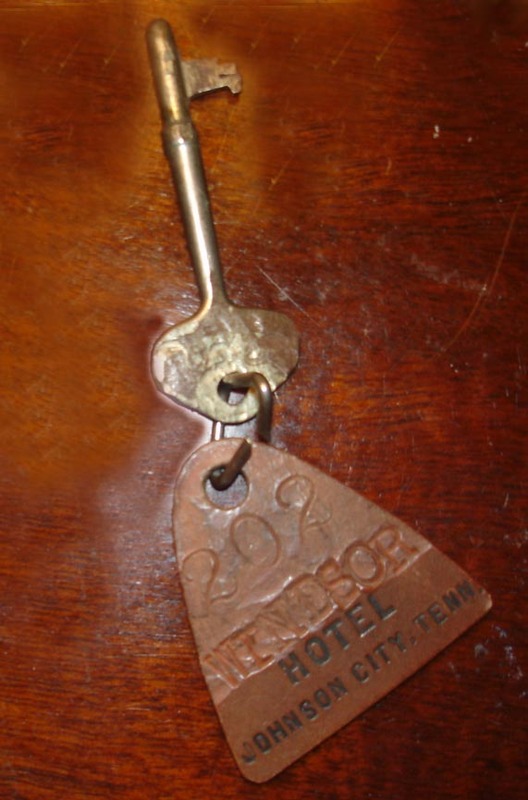 Several leaders in Johnson City's black community have important oral history documentation of activities in area hotels as well as the Montrose Court complex involving Al Capone and his entourage. 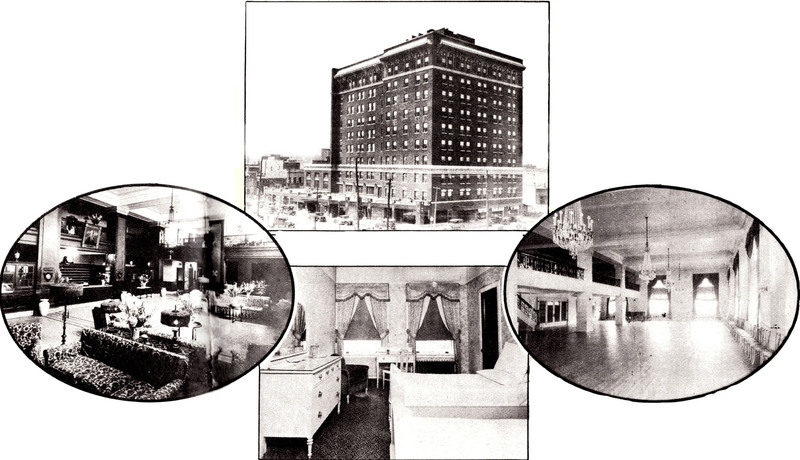 These sources report some of the Capone gang's travels including trips to French Lick, Indiana's "French Lick Springs Resort and Spa" a luxury hotel linked with Capone. Many of the black service workers from the 1920s and 1930s in restaurant and hotel employment as well as railway porters also were hired for other assignments as runners between gambling operations and card games. 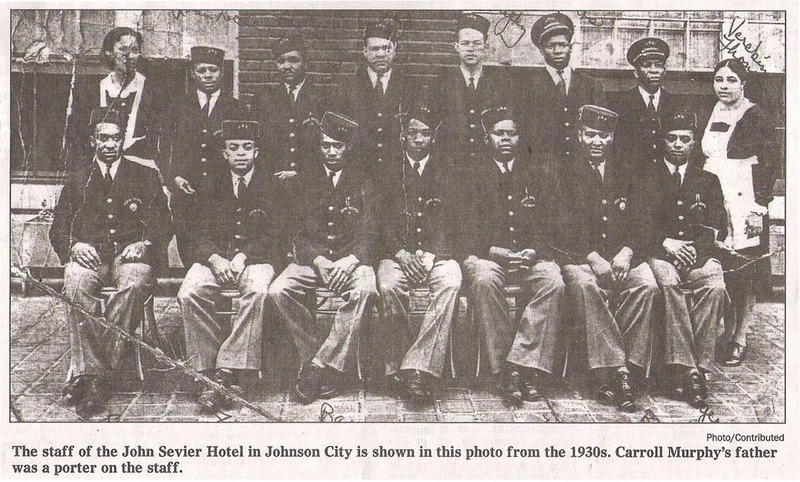 These young men were far more knowledgeable about who frequented Johnson City and the comings and goings among the hotel guests than the white community would or could have been at the time. 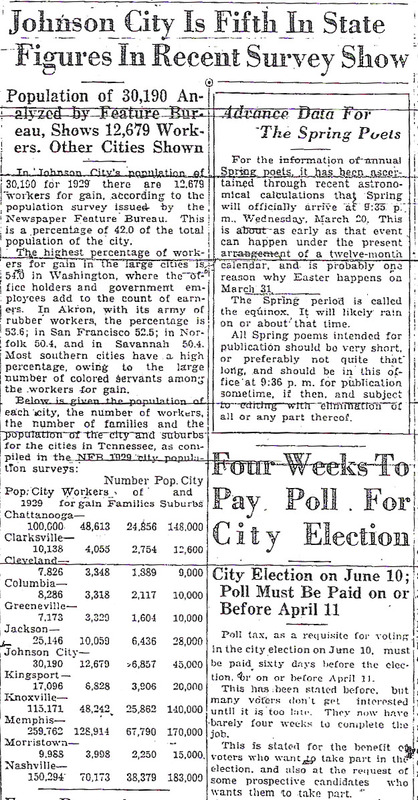 An entire industry of service sector employees existed handling incoming freight from Johnson City's three railway depots, luggage deliveries to the hotels downtown, and providing the "eyes and ears" of illegal operations involving alcohol transport. 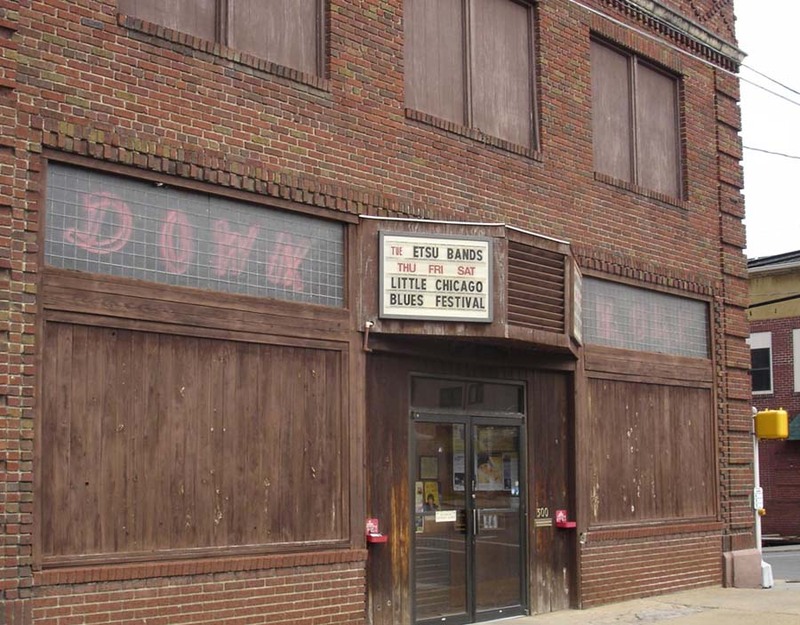 Some of their descendents with strong historical and academic credentials are compiling a rich oral history related to the "Little Chicago" era. Any historical documentation of this nature in which first hand participants are no longer living has an undetermined margin of error and obviously relies upon the memory of the succeeding generation. 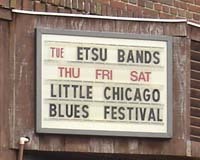 The stories related to "Little Chicago" include a mixture of fact and fiction and this chapter in local history is commemorated annually with the Little Chicago Blues Festival held at Johnson City's Down Home Electic Music Room. 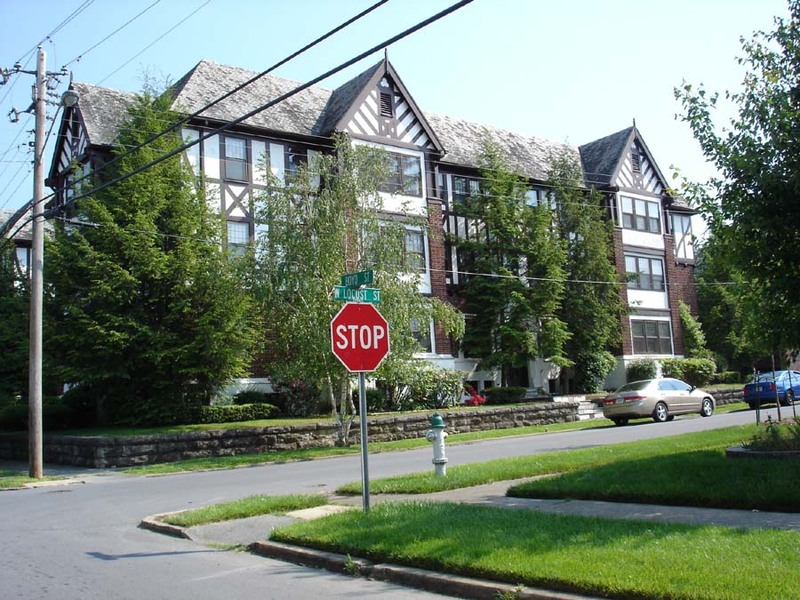 Montrose Court was a luxury apartment house when it was built in 1922 on land owned by railroad magnate, George L. Carter. 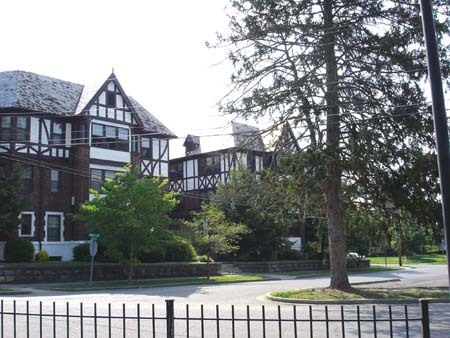 The Tudor-style structure was designed by architect D.R. 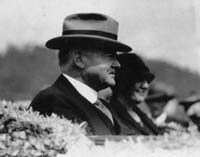 Beeson, Sr. 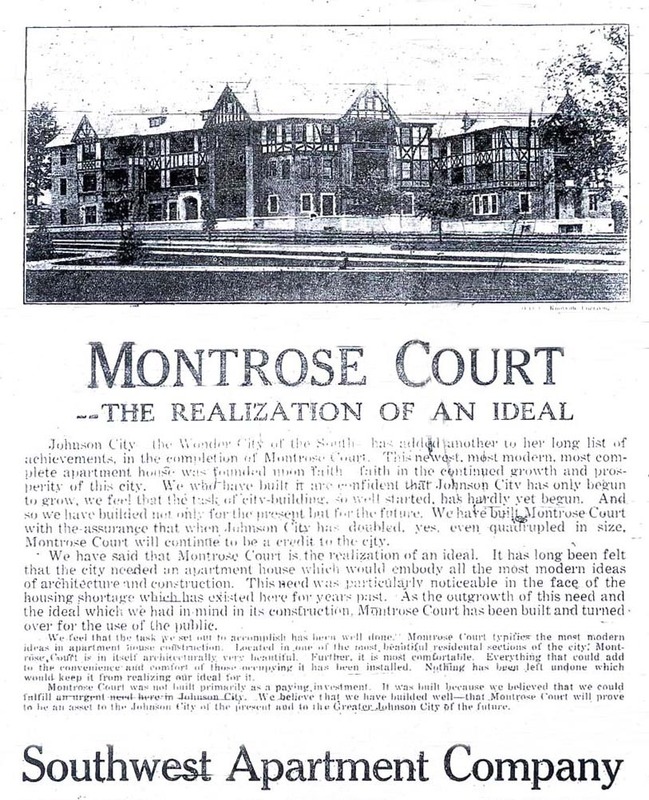 The completion of the building was heralded by a special edition of the newspaper on May 28, 1922, called the "Montrose Court Edition." 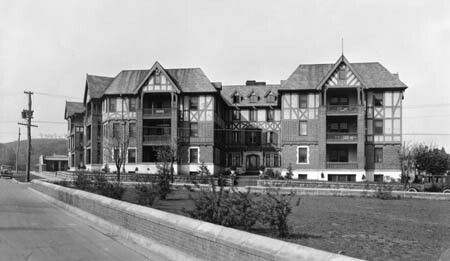 The building burned on November 13, 1928 (causes never fully resolved) and was rebuilt housing 30 residences which are now condominiums. 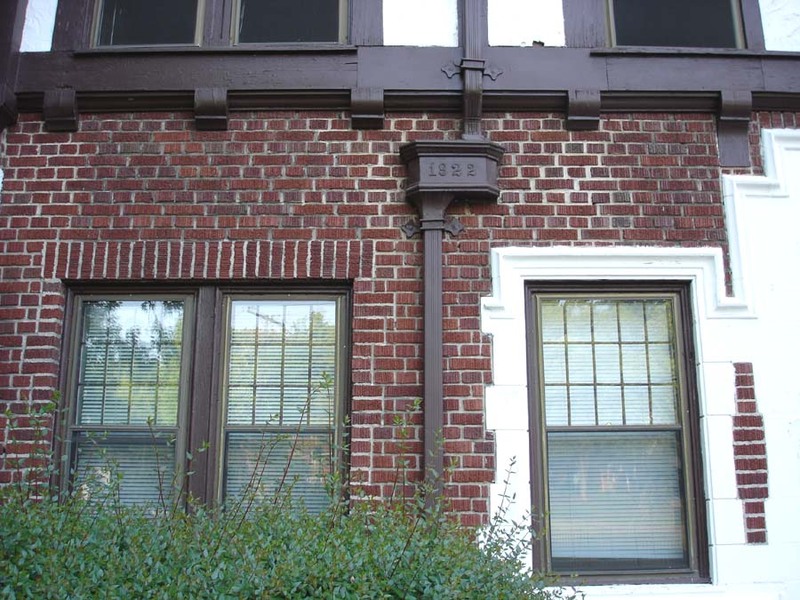 Completely renovated during the 1990s, this historic complex in the Tree Streets neighborhood (across from South Side School) has a long and storied history - much of which can never be fully documented. 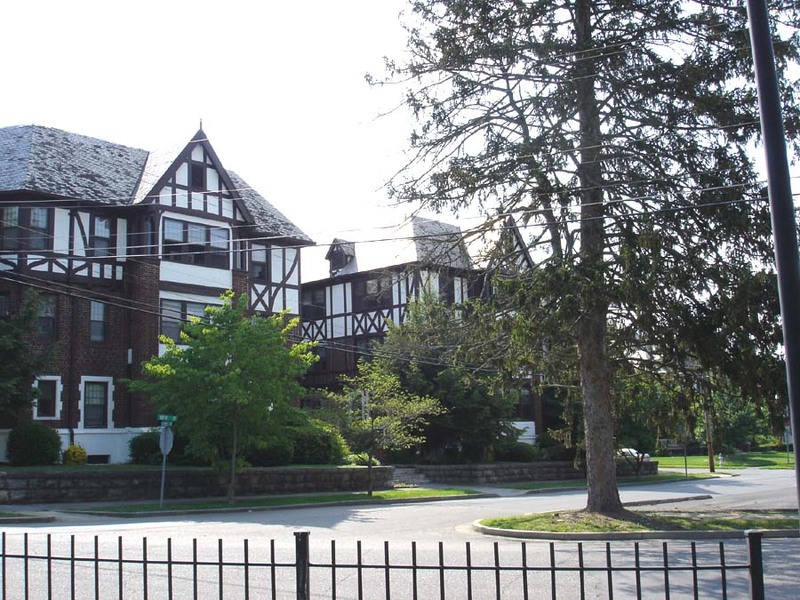 This property was added to the National Register of Historic Places in 1980. 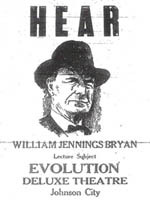 View ad from 1930. Montrose Court postcard from Capone era. 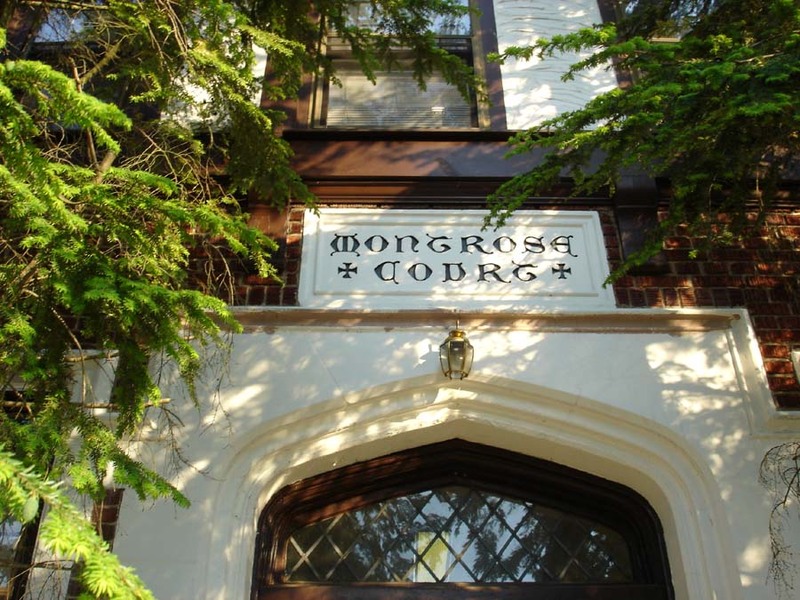 Montrose was threatened with demolition in the late 1970s prior to being named to the National Register. 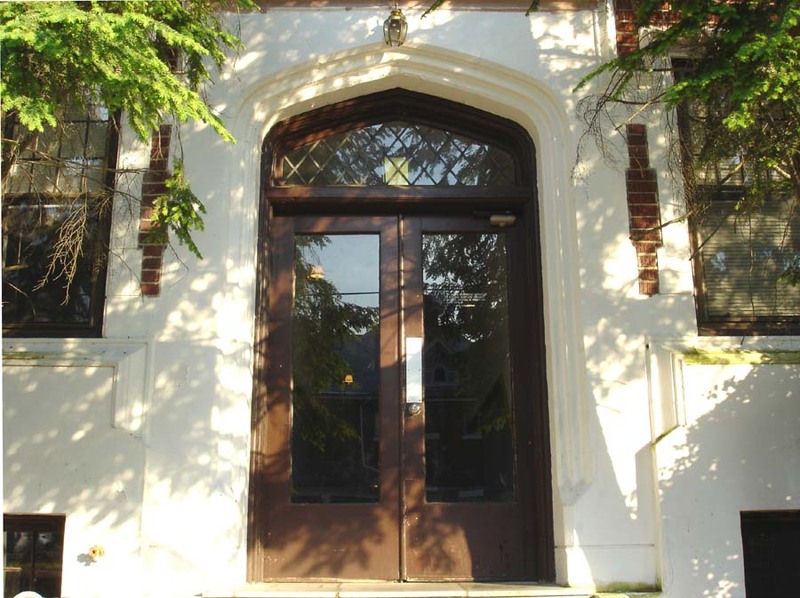 Here is a 1978 article detailing its condition at that time and issues surrounding the historic property. 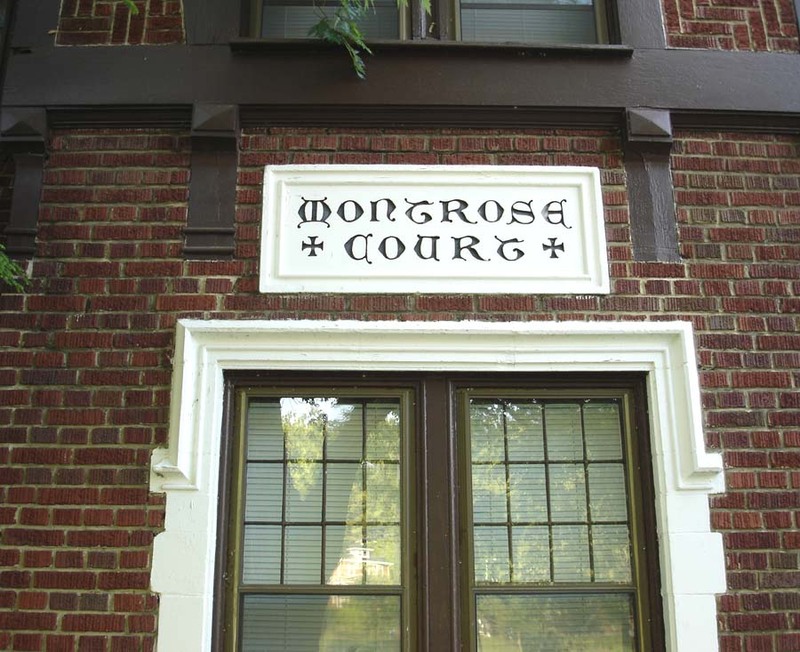 Historic Montrose Court - The Legendary Hideout? 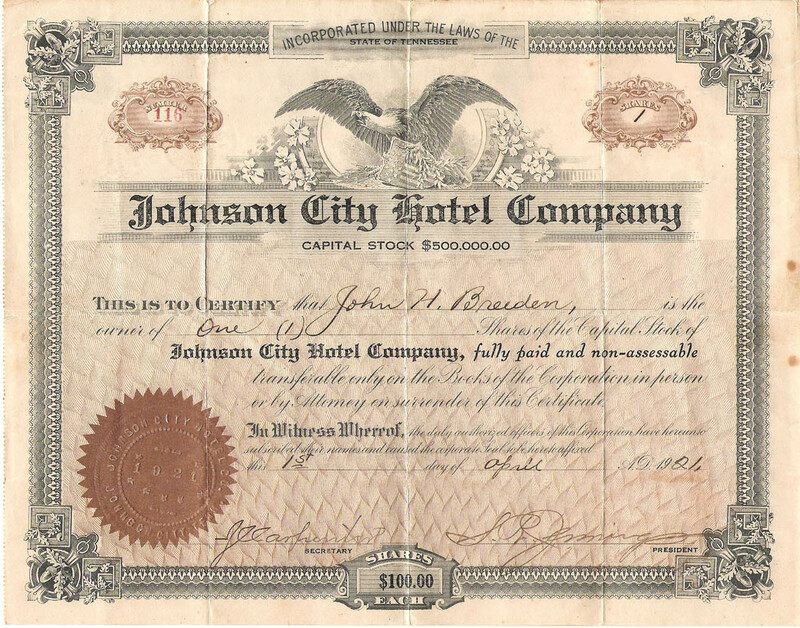 Stock Certificate for the Johnson City Hotel Company, chartered to build the John Sevier Hotel. 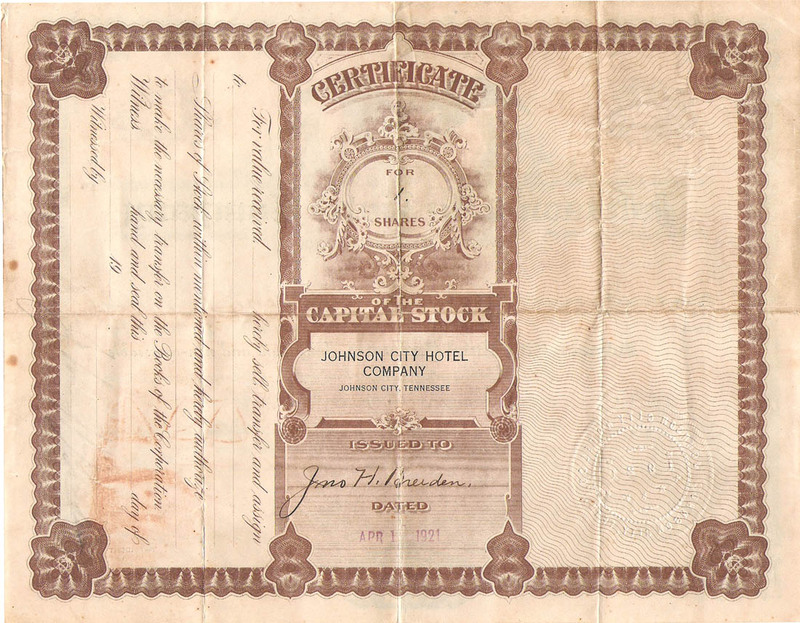 Back of Certificate. 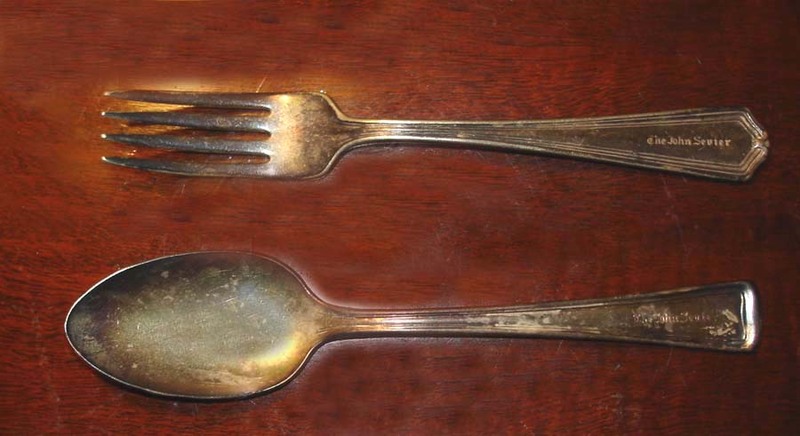 Courtesy of Breeden Family Collection. "Bootleggers" were named after the practice adopted by smugglers in the 1800's, who concealed liquor in their boots when trading with Indians. 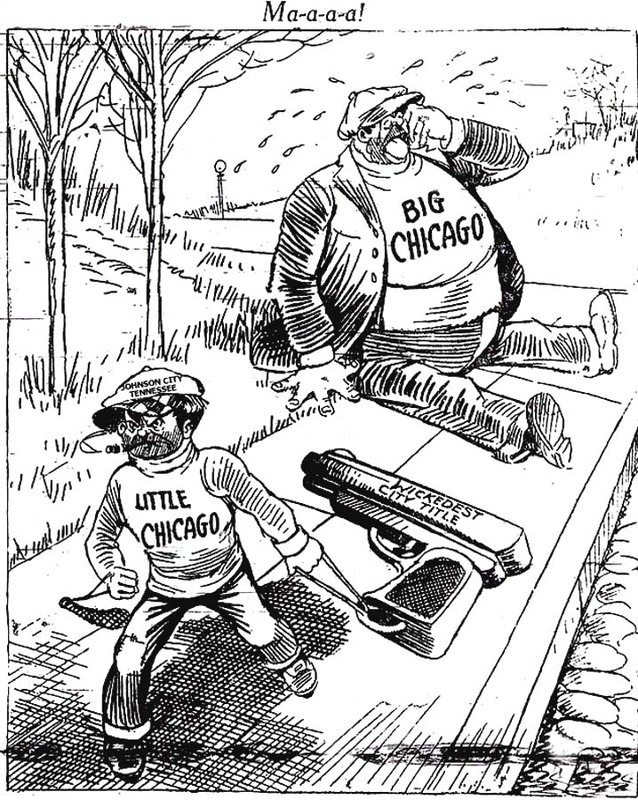 Poster by the "Ohio Street - Kid "
1926: A Reign of Terror? 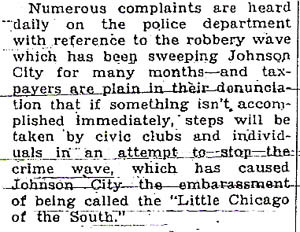 1928: "Little Chicago of the South"
Did Capone Hide out Here? Adobe Acrobat (.pdf) format. Click on the icon below for a link to the free Adobe Acrobat Reader if it is not already installed on your computer.
" Live In Little Chicago"
Aerial View of "Little Chicago"
"Jake Leg" is a term for an unusual malady resulting from a tragically bad mixture of medicinal alcohol. 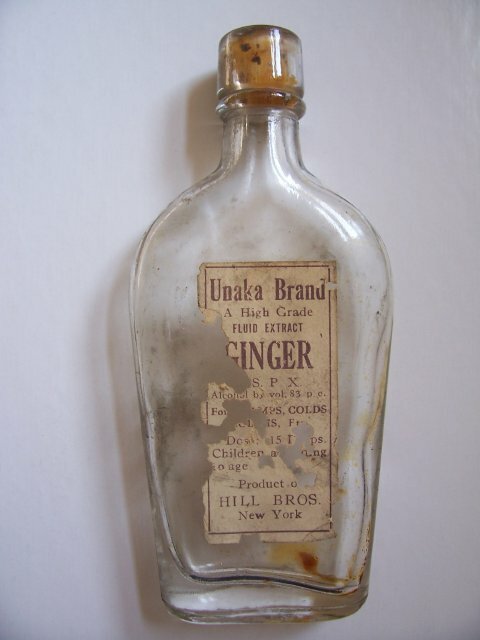 In the 1930s, it is estimated that some 50,000 people were crippled with partial paralysis, mostly in their legs, as a result of drinking "jake". In some cases the paralysis proved to be temporary, but nearly all victims were forced to walk with a high-stepping, foot-slapping style that quickly became known as the "jake walk" or the "jake leg". 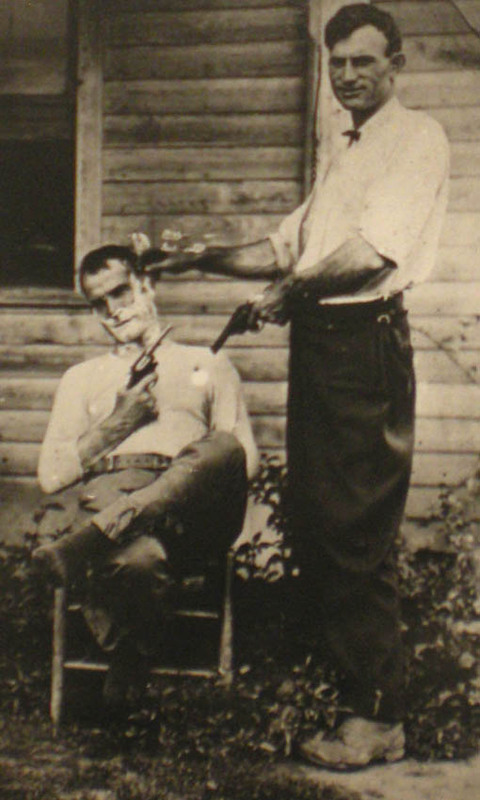 The Johnson City area seemed to have a disproportionate population afflicted with the "jake leg" according to a 2003 article in New Yorker magazine and long verified in local folklore from the Little Chicago era.